Hello 2015! Yes, what a better way to start the new year with a quick recap of the highlight of foodgasm session in 2014. For Breakfast to Brunch, we really need to mention Sarnies, Symmetry and Sunday Market. Sarnies Aussie Big Breakfast are so memorable, it really fills you for the whole day and give me the nostalgic feeling of my days in Melbourne. Symmetry provide us with a more classy version of cafe Brunch. More cutting edge plating while maintaining awesome flavours. Sunday Market is unique with their modern food with Thai flairs in their dishes. Their Bangkok Toast desserts and Thai Ice Milk Tea are just YUMMM!!. 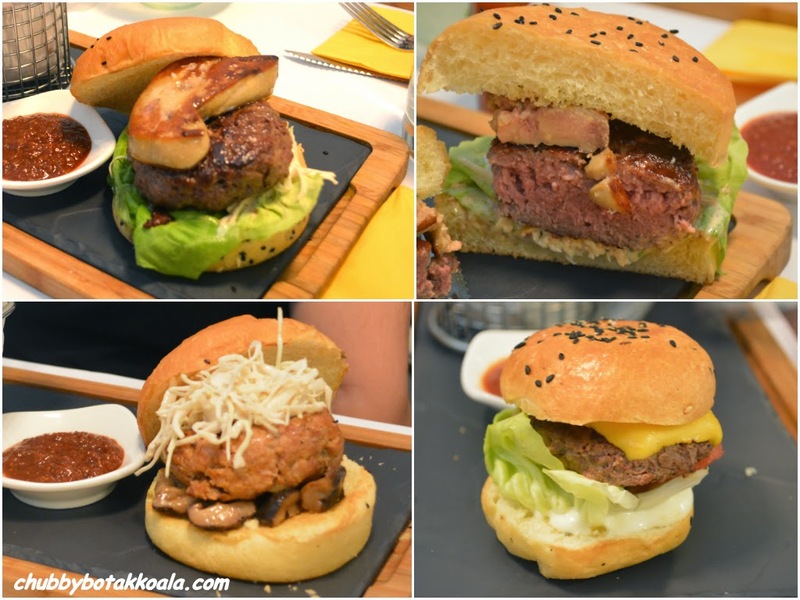 For main meals such as lunch and dinner, we go past Burgers by &Made, the brain child of Michelin Star chef Bruno Menard with Deliciae Hospitality Management Pte Ltd. Although the Chef Bruno Menard has left the restaurant, the group ensure the quality remains intact. For Italian food, Basilico is a must try. They have the freshest ingredients that are in season in Italy, you won't look at Italian cuisine the same way ever again. Fukuichi by Chef John Phua sets our tongue wagging with its freshness and creativity. Think of this dish, Niku Fagura Sauce is grilled beef cube with foie gras sauce is a must try dish beside their sushi and sashimi. While Ramen invasion continue in 2014, Keisuke Tonkotsu King are top of my list. Competing with Ramen invasion, we also saw the surge of Vietnamese food in Singapore. Moc Quan provide outstanding Bahn Mi (Vietnamese Baugette) and Banh Canh Cua (Crab Pho); Mrs Pho served a well rounded Vietnamese dishes, Stew Beef Noodle and So Huyet Xao Toi (Stir-fry cockles with garlic and pork lard) made us came back a few times. For our Halal friends, So Pho which can easily be found in major Shopping Centre, provide a taste of Vietnam in Halal Version. Porkgasm is the term that I coined last year. Eight Korean BBQ with 8 different flavours Mangalitza pork belly being marinated here and the fabulous taste. In Wolf, nose to tail dining experience by Prive Group, we were mesmerise by Pork Chops, which give aged rib eye steak, wagyu or kobe beef a good run to be the main star on the plate. For something closer to our heart, like Chinese food, Grand Mandarin open its door this year. Serving the Grand version of Cantonese Cuisine. Meanwhile, for those that miss Thai Teochew Cuisine and its delicacies, Thai Village is a place to go for Shark Fin Soup, Braised duck web or Baked Crab with Vermicelli. We are fortunate enough to visit Japan the first time this year. We did not miss the opportunity to try the poisonous puffer fish (fugu) and came back safely. We also manage to see Mt Fuji during clear sky and it is just a experience of the lifetime. Anyway, enough of last year. I would like to thank our loyal readers for their support and let us continue this journey in 2015. Cheers!! !